CHRIST IS IN OUR MIDST! HE WAS, IS, AND EVER SHALL BE. ΧΡΙΣΤΟΣ ΕΝ ΤΩ ΜΕΣΩ ΗΜΩΝ! ΚΑΙ ΗΝ ΚΑΙ ΕΣΤΙ ΚΑΙ ΕΣΤΑΙ. "Acquire the Holy Spirit, and a thousand around you will be saved." Saint Seraphim of Sarov was a great ascetic and wonderworker, but even more important for future generations was his teaching on the essence of the Christian life. Firmly based in the Patristic tradition, this teaching emphasizes seeking communion with God as the true purpose of life for every Christian. Saint Seraphim demonstrated that everything else did nothing but offer the means for acquiring the Holy Spirit. He stressed that in the parable of the wise and foolish virgins, the oil which the ten foolish virgins ran out of is to be interpreted as the grace of the Holy Spirit. While engaging in external works of piety, these foolish virgins assumed that this was the essence of Christian life. They did not stop to think whether these acts were really pleasing unto God, whether they helped them gain the grace of the Spirit of God and made them worthy of this grace. In his teaching, Saint Seraphim contrasted moralism with genuine spirituality. The Spirit is granted but it can also be taken away. To acquire it one must engage in spiritual struggle. There is a profound message in Saint Seraphim's spiritual counsels, his miraculous transformation in the presence of the young landowner Motovilov, and also in the fact that Motovilov, and also in the fact that Motovilov's all-important first-hand account of this experience remained hidden from public view for seventy years. As Divine Providence would have it, his memoirs were recovered only in 1901. It was a time when many had begun to disregard the true purpose of Christian life. In his conversation with Motovilov the wise elder said: "The Lord has revealed to me that as a child you asked many people of high ecclesiastical rank of the purpose of Christian life, but none of them could give you a definite answer. They told you about going to church and praying to God, about abiding by His Commandments and doing good works. Some were even angry with you for your 'impious' questions..."
Thus, some regarded as impious inquisitiveness attempts to get an answer to the central problem facing every Christian. This shows that at that time most Russian Orthodox were preoccupied with the building of this world, confining Christianity to subordinate role. Then came a time when many became disillusioned with the objectives of such worldly construction, and at that time the Lord reminded His people through His Saints of the true purpose of their journey through this world. Through Motovilov Saint Seraphim gave a most important warning to mankind: "Good works bring the fruits of the Holy Spirit only if accomplished for the sake of Christ, because the Holy Spirit came into this world only for Christ's sake. And all manner of good works done for their own sake, and not for Christ, bring no grace of the Holy Spirit (because all things that are void of faith are sinful). In these words Saint Seraphim reveals the mysteries of the Spirit, re-emphasizing the teaching of the Holy Fathers, such as Saint Macarius the Great who called on men "to gain the Lord God the Holy Spirit." 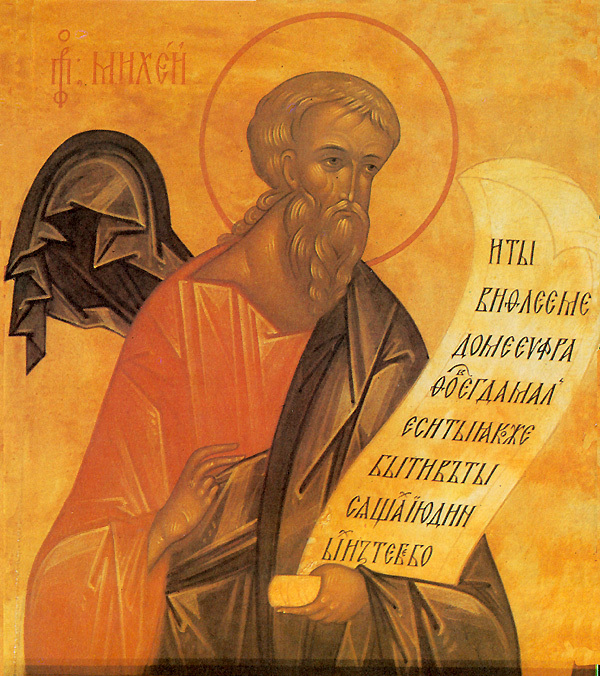 In answer to his questions, Motovilov was told to "abide by God's Commandments and do good Works," but St. Seraphim calls such answers into question, stressing that the external observances of the Commandments is only the means leading one to the encounter with the Holy Spirit, the comforter. Saint Paul warned the Early Church, saying that "a man is not justified by the works of the law" (Galatians 2:16). The Christian's ultimate objective is not to emulate the suffering Christ or engage in self-mortification but to gain the Holy Spirit. This is the essence of the personal covenant with God in the Holy Spirit, and this is why the Orthodox do not expect any third covenant or any third revelation to mankind. This revelation is achieved through his personal efforts to acquire the grace of the Spirit. Motovilov's utter perplexity in the face of these counsels indicates that he and his contemporaries had become oblivious of this primary Christian goal: the acquisition of the Holy Spirit. There are many good works to be accomplished in this world. The difficulty is that we cannot start doing them on our own accord, by emulating historical examples or the lives of the Saints. One cannot embark on any important acts of faith or ascetic struggles without some divine command. Saint Seraphim warns that otherwise a person cannot really complain that his most well-intentioned efforts were of no avail. Every person is assigned his or her own place in the Divine Plan, his/her personal path in Christ. For him/her this is the only true path upon which he/she is called by the Chief Shepherd, Jesus Christ. Other men around him have their own ways in Christ. For God there can be no "inferior" or "superior" ways, but only personal ones. The spirit of competition, of trying to surpass others is most dangerous for the Christian, because then "he seeketh his own glory" (St. John 7:18). But he who really loves the Lord takes care not to offend Him by some willful acts, does not try to surpass others, but humbly admits himself to be the lowest of them all. At the end of his conversation with Motovilov, Saint Seraphim said, as if addressing all Orthodox believers: "And you have no cause to doubt God's mercy, for you can see the words of God, spoken by the prophets, come true in yourself...I am a God at hand, saith the Lord, and not a God afar off?" (Jeremiah 23:23).